French company EDF has submitted a techno-commercial proposal to the government for the Jaitapur Nuclear Power Plant (JNPP), in a significant step towards the progress of the project, sources said. A techno-commercial offer is an important step in the negotiations process as it helps the two parties determine the cost of the project and tariff of the electricity generated from it. The offer comes less than a week after External Affairs Minister Sushma Swaraj and French Foreign Minister Jean-Yves Le Drian agreed to expedite work on the project. "Both countries are working to start the Jaitapur nuclear energy project as soon as possible. We are glad that NPCIL and EDF have made progress based on the Industrial Way Forward Agreement. Today, we have adopted the Status of Progress for Implementation of Industrial Way Forward Agreement," Swaraj announced after holding talks with visiting French Foreign Minister Jean-Yves Le Drian on December 15. Sources said the proposal has been submitted to the Nuclear Power Corporation of India (NPCIL), an atomic power plants operating public sector undertaking under the Department of Atomic Energy. The government will now study the techno-commercial offer, sources added. This includes the cost of the project, loan to be given by France and overall tariff of the electricity. The Indo-French deal was signed in September 2008. 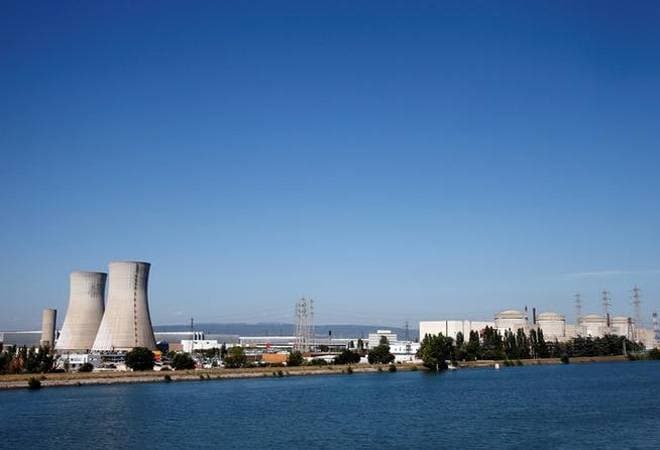 Negotiations first began with French company Areva, but last year, French utility company EDF took over its nuclear reactor business after the former faced financial issues. There have been several factors that were hindering the power plant, which includes the "reference plant". Since Areva, and now EDF was bringing in new technology, the Atomic Energy Regulatory Board (AERB), the country nuclear watchdog, asked for a reference plant. The JNPP, proposed to be the largest nuclear park in the country to be built in coastal Maharashtra, will have six reactors with a capacity of 1650 MW each.